Opening hours: Check-in time 7.30am. Departure 8.00am. Your tour will finish at the London Eye at around 6.00pm. Pick up point: Please take your confirmation voucher, photo ID and credit card to the Golden Tours Office Victoria located at: 4 Fountain Square, 123-151 Buckingham Palace Road, London, SW1W 9SH.Please check in a minimum of 30 minutes before the scheduled departure time. 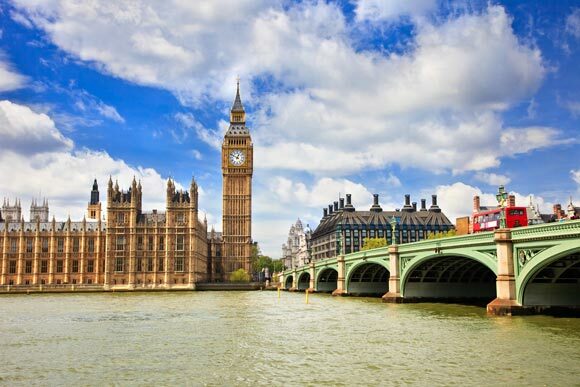 Panoramic tour of London– Entry to St Paul’s Cathedral– See the Changing of the Guard at Buckingham Palace– Complimentary Lunch Pack– Entry to the Tower Of London– Meet the Yeoman Warders– See the famous Crown Jewels– Free Thames River boat ride– London Eye Experience– Luxury air-conditioned vehicle. Enjoy a whistle stop tour of London’s famous monuments and marvel at the history of London’s modern masterpieces from the comfort of your seat. Towering high over the City of London, magnificent St Paul’s Cathedral is widely considered to be Sir Christopher Wren’s masterpiece. *On Sundays due to church services, there is no guiding inside the cathedral. As iconic an image of London as red telephone boxes and double-decker buses, the Changing of The Guard is a not-to-be-missed royal feat of bearskin hats and red tunics. *We will visit Horseguards Parade when the ceremony is unavailable. During its 1000 year history this impressive fortress has been a Royal Palace, prison, mint and even a zoo! Be dazzled by the Cullinan diamonds and the spectacular Kohi-i-Noor at the Crown Jewels. Join a Yeoman Warder ‘Beefeater’ for an exclusive and very different view of the famous Tower Of London on this guided tour. You will hear the story of the peasant’s revolt and attack on the Tower of 1381, the military cunning used to ensure the safety of the Monarch within, and how the Tower’s very architecture protects it from attack. Take to the water on a River Thames boat ride to Greenwich followed by a walking tour of Greenwich before making your way on the boat to the London Eye Pier.